This is an extremely on-brand screenshot from Vile's new lyric video. 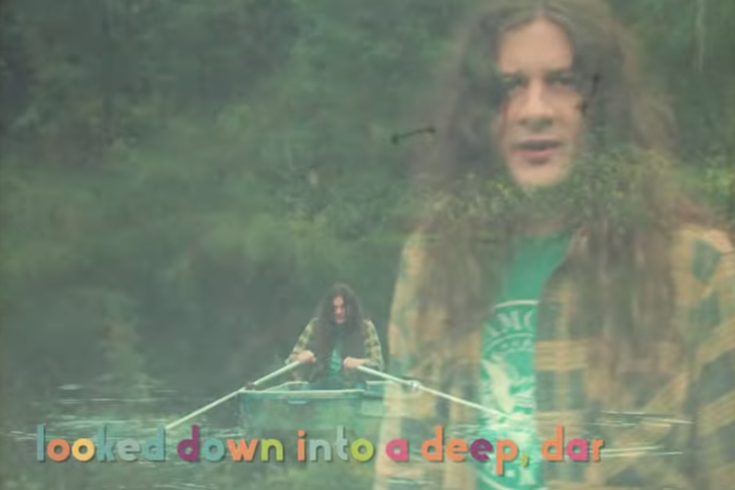 Kurt Vile, Philadelphia’s king of relaxing slacker-rock, released a new single Thursday with just one week to go before the release of his new album. The latest single, titled, “One Trick Ponies,” is vintage Vile in all the good ways: a mid-tempo beat, guitar for days, and lyrics that transport you to new frames of mind. It also features the ultimate cheer-you-up, sing-along chorus. It’s been a busy few months for the Philly rocker and Landsdowne native. In August, Vile released his first single from the album, a song called “Loading Zones,” accompanied by a video in which Vile out-runs the Philadelphia Parking Authority, because Vile is a guy who truly gets this city. Last month, he released a nine-minute epic jam called “Bassackwards,” when he announced the upcoming record. Vile’s seventh studio album, "Bottle It In," will be available Oct. 12 on Matador Records. He’ll be performing at The Met in North Philly on Dec. 29.